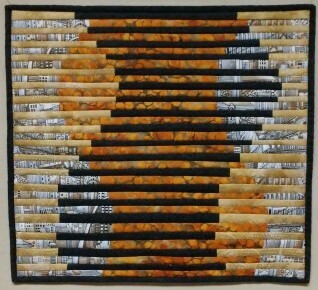 While taking a break from quilting the Mississippi Orange Peel, I finished up several projects. 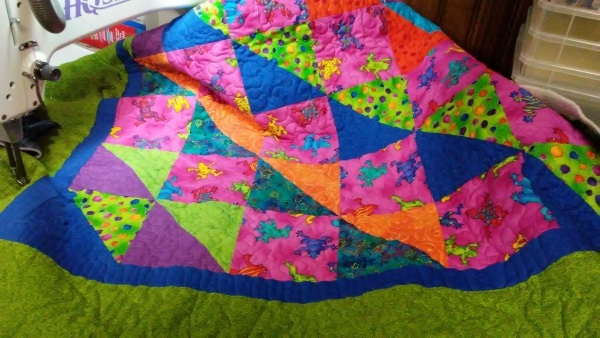 I hope the child I'm giving this to likes frogs in wild colors. 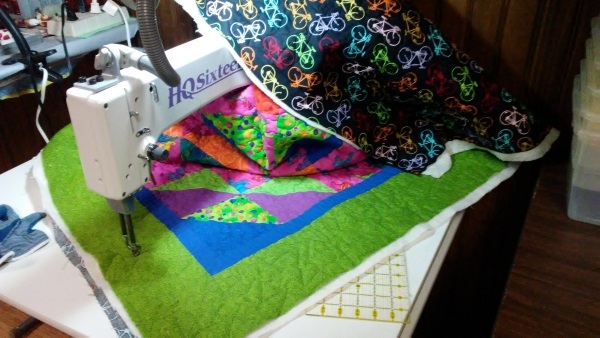 I love making the Interleave Quilts; there are so many possible fabric combinations as well as design choices. 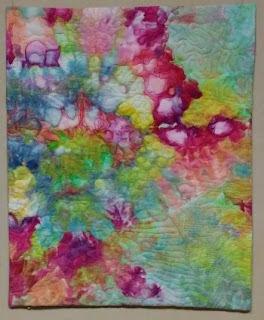 Here are a couple, along with a free-motion quilted piece for the Silent Auction at our show. 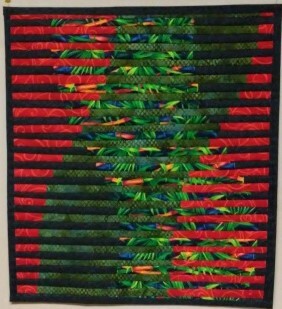 What a great feeling it is to finish up some projects before deadline. My youngest granddaughter turned 21 this week. 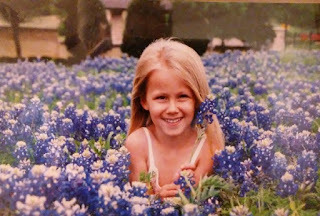 Here is one of my favorite pictures taken many years ago in the Texas bluebonnets near her home.